There are certain things that always get me flavor-wise: sweet + savory, bonus points for spicy, lots of crunchy texture, a little novelty and a little fun. Make it mini, and I am sold! 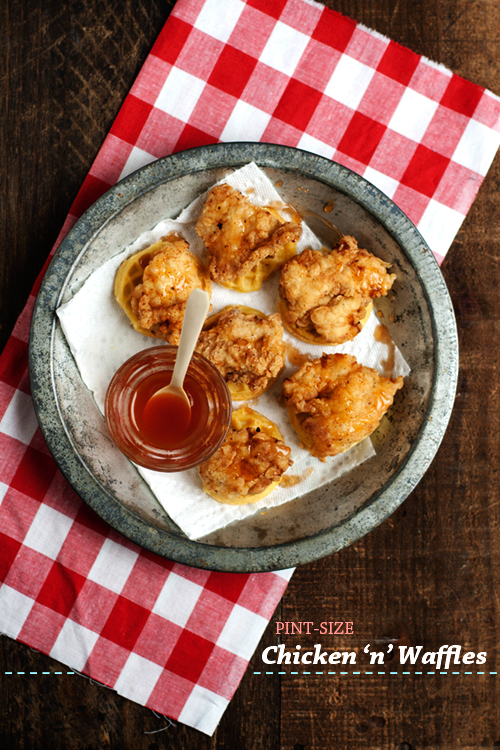 These Pint-Size Chicken ‘n’ Waffles, from Tiny Food Party by Teri Lyn Fisher and Jenny Park of the blog Spoon Fork Bacon, are everything mentioned above, in a perfect, pint-size bite. Chicken and waffles is a totally novel dish, a little kitschy, yet totally delicious. Maybe, somehow, this poultry+breakfast item craze has escaped you. Maybe it’s a little too weird and the idea of breaking into a chicken-leg-on-top-of-a-waffle-drizzled-in-syrup seems a touch cumbersome, then I urge you to make your first foray into the world of chicken and waffles a miniature one. I have made chicken and waffles at home before, and ordered plenty in restaurants, but Sean and I both agree, these are definitely the best ones. Not just because of the recipe–I mean, I used a frozen mini-waffle here–because, it makes the most sense. It’s a two-bite miracle; no wrangling of chicken bones or dinner utensils required. I swapped the honey butter suggested in the recipe for a mix of honey and tabasco sauce. The honey brings floral sweetness, while the tabasco brings tangy-vinegar heat, and pairs up perfectly with the crunchy-savory chicken and waffle. I made these for a fun lunch on an easy weekend, but I’m thinking they would be really fun for a game-day spread or any festive gathering…I mean, who can resist? 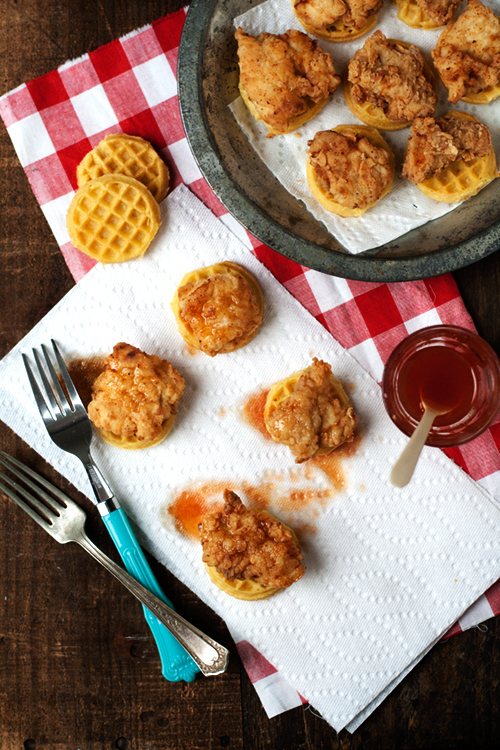 It’s a tiny, crunchy, sweet-savory, Pint-Size Chicken ‘N’ Waffle Wonder! You could purchase a tiny-waffle-maker, I nearly did but stopped myself from becoming a single-use-appliance hoarder. I still kinda-sorta-really want that dang waffle maker, but my will is maintaining some integrity and, for now, frozen mini-waffles work perfectly. Below I have included the suggested honey butter, as well as the spicy-honey sitch that I favor. Do both, do either, or make your own thing. Happy Tiny Food Party-ing! Whisk until combined, add as little or as much Tabasco as you like. Place the chicken in a bowl and cover with buttermilk. Cover, refrigerate, and soak the chicken in the buttermilk for several hours to overnight. Preheat oven to 375*F. Place waffles on a baking sheet and toast for 12-15 minutes. In a shallow dish, whisk together flour, garlic powder, paprika, salt, onion powder, and pepper. Heat oil in a medium skillet over medium-high heat. Working in batches, remove chicken from buttermiilk, dredge through flour mix, shake off excess , and carefully place chicken pieces in hot oil, cooking about 5 minutes per side or until golden, crunchy, and cooked through. Drain on paper towels. Spread honey butter onto waffles, if using, and place 1 chicken piece on each waffle. 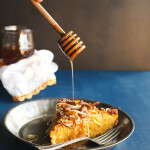 Drizzle with spicy or plain honey and serve warm. 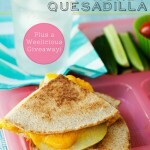 Apple-Honey Quesadilla and a Giveaway! These are so stinkin’ cute!!! I never had chicken and waffles until this year’s vacation and now I’m obsessed – trying to make up for all of the time I was missing out! yes! The mini version is def the best! yes! Let’s just toast mini chicken and waffles! I have been meaning to buy their book! These are so cute. I love the Tabasco honey idea! the book is definitely worth the purchase! This is such a great idea! I never thought about making these delicious little combinations bite-sized, but it makes so much sense. I had a fried chicken waffle sandwich the other day, and that was a stroke of genius as well. Those two are made for one another! This is genius! Easy to eat and so flippin’ adorable. Bravo! 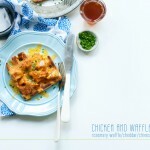 Can you believe that I have yet to try the chicken and waffle trend?! I am ashamed of myself. These look spectacular, and ridiculously cute. I’m a sucker for minis too! get on it! haha, thanks Amanda! 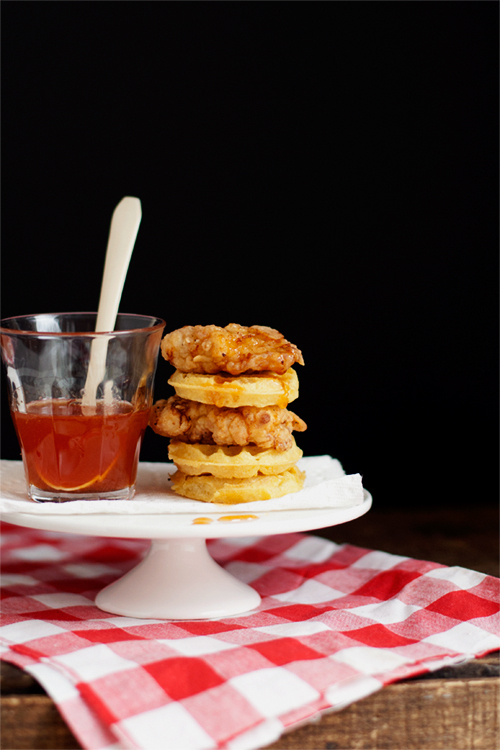 Chicken and waffles may be the most perfect combo. I totally agree that the addition of spice is a must! The honey/Tabasco idea is perfect! I so love that they’re mini! You’re right, the eating around the bone part makes the full-sized version harder to enjoy. Yum! I’ve never tried chicken and waffles–how is that possible?! They look so delicious! 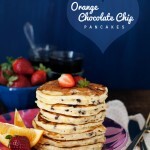 I’m definitely bookmarking this recipe to give them a try very soon. yes! this makes me so happy :) I’m glad they were a hit! I’m planning on making these for my daughter’s pre-semi-formal dinner. Curious if I can make chicken a day in advance?? Thoughhts and comments appreciated! I think you could and maybe re-crisp in the oven? Or you could coat them ahead of time with the breading and place in a single layer, cover in plastic or foil and refrigerate or freeze. I would go with one of those options. Hope it works out for you! Thankk you! 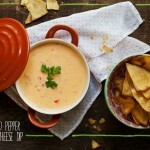 I’m very excited to make this recipe! 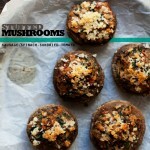 I’m planning on making these for my daughter’s pre-semi-formal dinner. Curious if I can make chicken a day in advance?? Thoughhts and comments appreciated!